From a haunted house to a child's tree house, create and customize woody title sequences with 20 Texture backdrops for Final Cut Pro X. 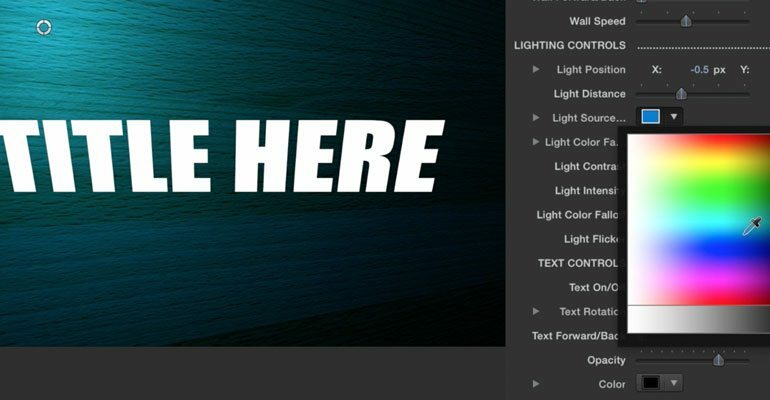 Change the color of the spotlight, the speed of the backdrop , or manipulate the show of your text. PRODROP Volume 9 gives you the creative tool to tell your epic story! With ProDrop: Volume 9, From tree bark to knotty pine textures, these textures look so real they make real tree bark look fake. With ProDrop: Volume 9, users get 20 custom made backdrops with endless customizable options. From knotty pine to tree bark you have the freedom to create a backdrop that will fit any video project. Don’t have time to be creative? 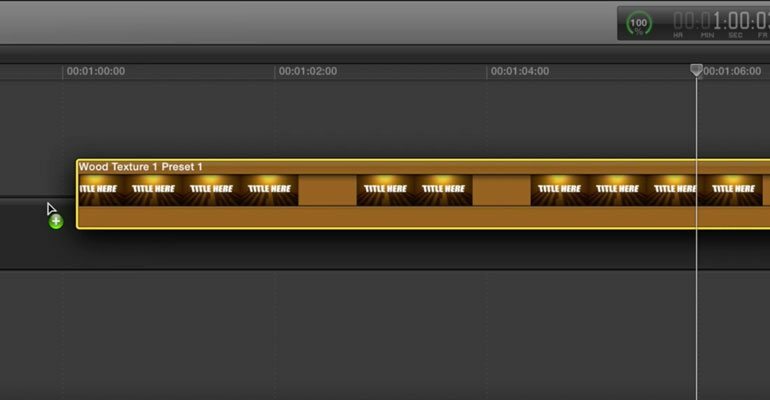 With the 3 color presets you can drag and drop a ready-to-go patterned backdrop into the timeline in Final Cut Pro X. With ProDrop: Volume 9 from Pixel Film Studios, there are so many options to customize your backdrop. Control the perspective, light, color, speed, direction, text and so much more all in a few clicks of a mouse in Final Cut Pro X. With On-Screen controls, editing your ProDrop is even easier! Quickly and easily grab your light source and move it exactly where you need it to be, and watch as your text’s shadow reacts in real time. ProDrop: Volume 9 was designed by Pixel Film Studios to work seamlessly in Final Cut Pro X. 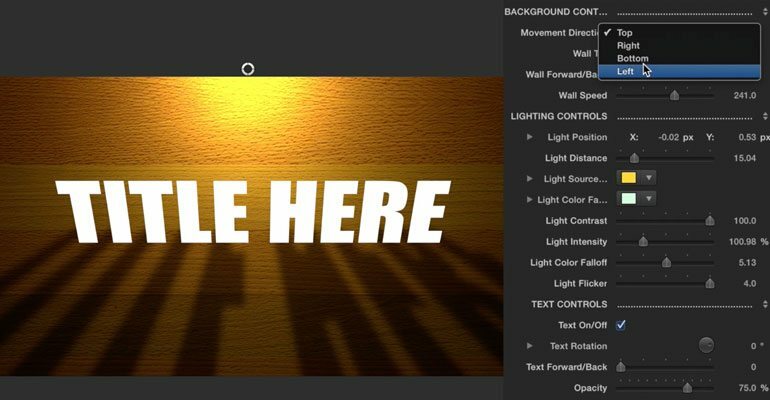 As a wood texture background for FCPX, you can simply select the ProDrop: Volume 9 template you want and use the on-screen controls to rotate the direction of the light. Then you can customize the look of it with the intuitive controls found in the FCPX inspector. 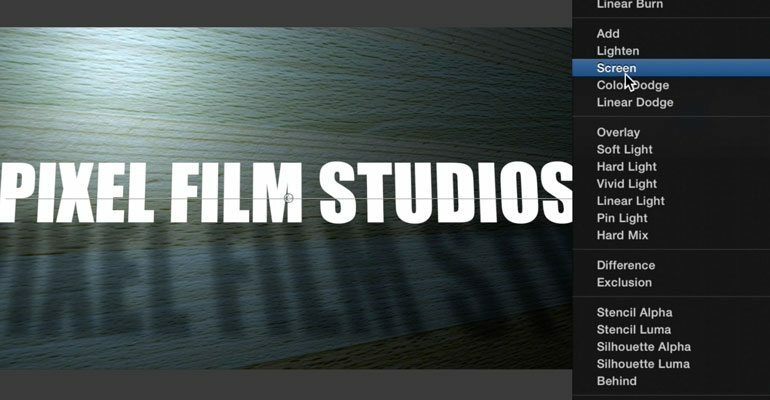 Calibrate your video clip to the style that suits your film within minutes! Learn how to create and customize your own wood text backdrops with the ProDrop: Volume 9 Lesson. Let’s begin by locating ProDrop: Volume 9 in the Generators Library. There are numerous wood textures to choose from but for this example we will be using Wood Texture 1 Preset 1. Drag the generator to your timeline. Select the generator and go to the Inspector Window. First start by adjusting the Background Controls. Begin by selecting a movement direction. This will determine which way the wall moves. Next we will adjust the wall tilt slider. The Wall Tilt Slider will tilt the wall in whichever direction the wall is moving. Once you have the wall tilt set go on to the Wall forward and back slider. This slider will control the closeness of the wall. After is the wall speed slider which controls how fast the wall will be moving. Next we will cover the lighting controls. Start by adjusting the light position and light distance. After select a color for the Light Source and Light color falloff. Once you have chosen colors for the light you can then control the contrast, intensity, color falloff and Light Flicker. Light Color Falloff controls the color brightness towards the edge the light. Lastly adjust the Light Flicker slider. Now for some Final Touches. In the Text Controls you can can decide to keep the text on or off by clicking the check box. Use the on screen controls to change position and alter text. Double click on text in the viewer window to alter text, Position text by clicking and drag center control puck. Continue by adjusting rotation Next you can control The Text Forward and Back Slider which will affect the text shadow. For example moving the slider to the right will make the text shadow larger while moving it to the left will make the text shadow smaller. 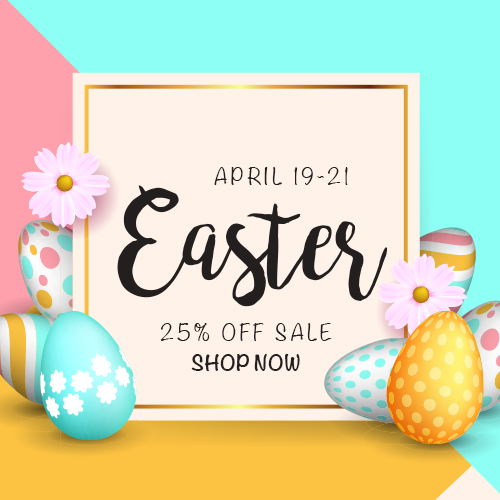 Once you have the Text Forward and Back slider adjusted continue on to adjusting the opacity and color of the text shadow. After adjusting the opacity and color choose a blend mode for your text. Then adjust the shadow softness. Finally Checking the uniform softness checkbox will blur the edges of your softness more than if the Uniform Softness checkbox was not checked. Where do I find ProDrop: Volume 9? Once the installation is complete, you can find ProDrop: Volume 9 in the FCPX Generator library.